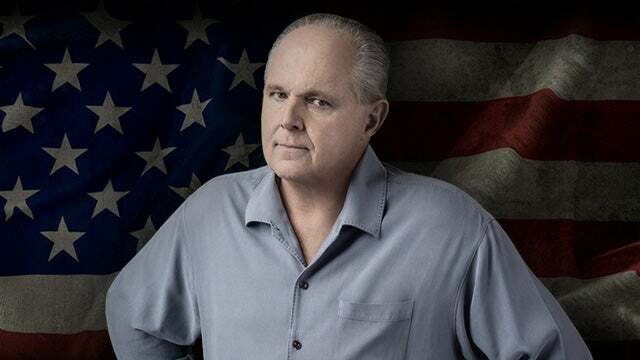 RUSH: Do you know why this is happening, by the way? I like to try to synthesize things down and find: Why is all of this going on? If I ask you that question, I’m sure I’m gonna get as many answers and attempted explanations as there are people out there such as you trying to answer. Why are we going through all this? Why is all of this happening? Why is the Trump dossier a big deal? Why is the Drive-By Media, the special counsel — why is everybody — devoted to getting rid of Trump? Why is this happening? There is a rather simple explanation for it. It’s not… (interruption) Well, yes, it’s because he won, but that’s the second phase. That’s not the real reason they’re ticked off. I mean, you can’t separate it from what I’m thinking about here. It’s relevant. The fact that he won? Yes, of course. But that does not explain this derangement. Why does he feel the need to commit suicide by flame? 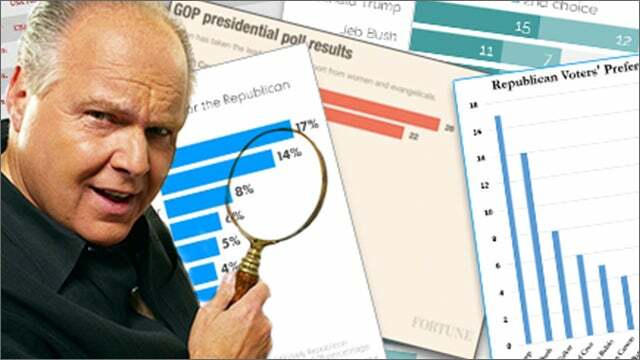 RUSH: Why is all this happening? This is not a major discussion point, but I just want to throw this out in the relatively short segment we have here because I went long in the opening segment. The reason I think all of this is happening is because — and Comey’s missing it. Everybody thought Hillary was gonna win. Not news. Everybody thought she was gonna win. Because of why? 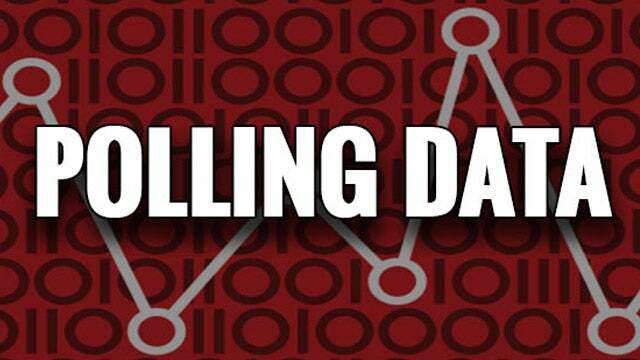 Because all of the polling data. Every bit! Ninety-nine percent of the polling data, 99% of these statistical data gurus: Hillary Clinton has a 98% chance of winning, a 65% chance of winning. Everything they believed — the polling data, the Drive-By Media, their own minds, their own hearts — said it, and then Hillary loses. They got totally taken by the polls, and they cannot come to grips with it. They simply can’t come to grips with that. Yes, it’s because Hillary lost and Trump won. But it’s because everybody on the left essentially was misled and lied to by the media. They thought they had a slam dunk for a full year! They were shocked and still are. RUSH: For an entire campaign, folks, since even before Trump won the nomination, we had what was, you would have to say, a negligent media. Now, we have a negligent media all the time, but you and I are used to that. The other side is used to the media paving the way for ’em, paving the road, getting the obstacles out of the way, stacking the deck, whatever. The left is used to the media as one of their weapons in their fantastic arsenal. They trust ’em, they believe them. I mean, there are exceptions of course. I mean, sometimes the Drive-Bys have to do negative stories on, say, the Clintons now and then just to fulfill the pretense of fairness and objectivity and all that, but for the most part if you’re on the left you know the media is on your side and you trust ’em, you believe ’em, you support them. And we, on the other hand, we don’t know what that’s like. We don’t know what it’s like to have a media on our side, not a dominant Drive-By mainstream media like the Democrats do. And so for all of the period of time during the campaign, during the Republican primaries and through the Republican convention, Trump gets the nomination, from that moment on, everybody on the Hillary camp was told by the equivalent of their Bible that she was gonna win and in a landslide and that the election wasn’t even gonna be close. That Trump might suffer the biggest landslide loss since Barry Goldwater. It was a slam dunk. It was in the can. It was in the cards. It was a fait accompli. It was just a matter of patience waiting for Election Day. Just like now. The Democrat blue wave in November is a fait accompli. It’s just a matter of patience. We just wait for the calendar. They’re believing the same stuff. They’re believing the same polling. They’re believing the same conventional wisdom. They believe their same sources, and the people that watch them believe everything they’re seeing and reading and hearing. And for a year and a half, the Drive-By Media negligently ignored every negative about Hillary Clinton. They covered up negatives, they ignored them, they did their best to hide the significance of her email scandal. They did their best to not report at all on the fact that Hillary was collapsing, was seizing up, was resting for weeks at a time between events. They did not report that Hillary wasn’t drawing anybody to her appearances. They didn’t report at all that Hillary couldn’t sell any books. They spent a lot of time reporting on the popularity of Crazy Bernie, but then they would tell everybody it doesn’t matter because Hillary’s getting all the delegates. Hillary so believed that she was gonna win that she didn’t think she had to campaign for it. She was so in-the-can on this that she didn’t think she had to go to Wisconsin, Pennsylvania, Ohio, because it was already over. She believed it. Her pollsters told her that she was gonna win. The Drive-By Media is reporting the same thing with their polls and with their analysts and with their cable news panels. Trump was an embarrassment. Trump was a joke. Trump didn’t have a prayer. Trump didn’t even expect to win. Trump didn’t want to win. You remember all of this. Put yourself in the shoes of every one of these people, the swamp dwellers, the establishment types and your average Democrat rank-and-file. And for a year-and-a-half you are lied to, you are misrepresented, you are basically not told the truth by a lackadaisical, lazy, overconfident media whose mission was then, and remains today, to destroy Donald Trump. But psychologically, year and a half, it’s over, it’s in the can, first female president, they can’t wait, it’s just a matter of time. And even as late as 7 or 8 p.m. on election night they thought it was over. And then reality hit them upside the head, and they have not gotten over it. If their media had not been so irresponsible, if their pollsters had actually tried to get this right rather than use polling data to influence people, if their reporters had dared to go report truthful what it means when 25,000 people are at a Trump rally and 200 are at a Hillary rally, instead of saying, like they did, “Crowd size doesn’t matter. Political rallies are political rallies. Just because Trump’s drawing 25,000 that doesn’t mean anything,” the media told themselves. Look at how often your average run-of-the-mill Democrat liberal invests in whatever Nate Silver told them, and if Nate Silver told them Hillary had a 70% chance, it was over! Nate Silver! New York Times, there wasn’t a one of them that was even close. There wasn’t a one of the Drive-By Media institutions that even allowed for the possibility that Hillary would lose or that Trump would win. I maintain to you that a year and a half of this, plus let’s not forget all of the power brokers inside the establishment are trying to do what they can to make this a reality. They’re not just sitting around waiting for the votes, ’cause they don’t trust the American people when you get down to the bottom of it. They’re trying to influence it every which way they can: register illegals, register felons. They’re already plotting. Peter Strzok and Lisa Page at least thought there might be some problem ’cause they wanted an insurance policy if Trump did indeed win. So one of them was holding out the possibility, and they started working on whatever it would take to undue Trump if he did win. Well, those same kind of efforts were underway to deny Trump victory. I mean, it was all-in. And then the last thing that they thought possible happened. And it’s driven them insane. Stop and look at it this way. If the Drive-By Media had behaved responsibly, if the Drive-By Media had reported accurately and in a timely way that Hillary Clinton was not a pretty good candidate, Hillary Clinton’s in trouble, Hillary Clinton can’t stand up, Hillary Clinton is seizing, Hillary Clinton is not showing up at events, Hillary Clinton did not do well in that debate, Hillary Clinton doesn’t look like she has the energy, none of that was reported. If it had been and if the truth, or more truth, at least, had been reported about the Trump rallies, rather than, what’d the media try to do? Discredit them all the time. The media was supporting Democrat efforts to infiltrate Trump rallies with Democrats bought and paid for by Hillary and the DNC and George Soros, to protest and make it look like Trump was engendering hatred and violence. They knew what was going on. They knew those were Hillary Clinton operations, just like they know today that the Steele dossier is a Hillary Clinton-DNC operation. And what are they doing with that? Are they telling you the truth about that? Nope. They continue to run the facade that this was potentially real Russian collusion. They haven’t learned a single thing. And so they told their nation of supporters that it was in the bag, it was in the tank. They didn’t even allow for an outside chance that Trump might win for a year and a half. And then it happened. I think that they can’t get over the psychology of this. If the media had reported this race more accurately, if Trump had been reported on as a legitimate contender and in all likelihood was gonna have a much better showing than anybody thought, and if the media had done its job in preparing Hillary voters for her negatives and her problems, rather than cover-up the email scandal, rather than cover up the Podesta email phishing attack, whatever they tried to do, rather than try to rip out the heart of WikiLeaks, if they had just reported the truth, then the people on the left would not have been so shocked, disheartened, angry, whatever. But they weren’t. They were not told of any possibility that Hillary might lose. That is why we are where we are. Now, I know there’s much more to it. It’s got all kinds of tentacles woven deeply in this web of deceit. But that is the foundation of all of this. If the media had just been responsible, if the media had just allowed for the possibility that Hillary was not this slam dunk, then the shock of losing would not have nearly been what it is. It was so certain, it’s insane. They think the Russians stole the election. They believe it. Nothing could be more insane than that. But they believe it. You can see their insanity. There are two television shows you can watch. One of them is Homeland, and it just gets worse every week. You still watching Homeland? (Snort!) (interruption) You gave it up? It is… I watch it as a case study for you. I don’t watch it as a good TV show. I mean, maybe if I have time later I’ll describe, but there’s another one. You remember The Good Wife on CBS? Well, CBS has a streamed-only show on their All Access app called The Good Fight, and it is about the law firm that was in The Good Wife and so forth. Last night’s episode? Let me briefly tell you what it is. This law firm where The Good Wife used to work, some of the characters are still in this new show. The DNC sends somebody into town. They’re interviewing law firms to find out who they want to hire to run the actual impeachment of Donald Trump. (interruption) Now, wait. That’s understandable. So they get in a conference room with all the partners of the firm that is the star of this show, and the upshot of it is that the DNC decides that they want to hire the people who can lie the most effectively. One of the lawyers says, “Why don’t we just say that Trump raped two, 15-year-old Miss America or Miss USA pageant contestants?” “Wait a minute. Have you seen the video?” “No. I’m not gonna say whether I’ve seen the video. We don’t have to say we’ve seen it. Just say that he did it! Just allege that Trump has done all this stuff,” and the DNC representative loves it. The more deranged, the more outrageous, the more hate-filled the more the DNC loves it. The producers of this show think they’re making the Democrats look good here! They’ve lost their minds! And the reason they’ve lost their minds, I’ve just recounted it. Anyway, I gotta take a break here. More on all of this. You know what else I’m gonna do? When we come back from the break, there are a couple audio sound bites I want you to hear, and then I’m gonna delve into the polling data I alluded to. We’ll get to Comey in the next hour. What the hell? Everybody’s doing Comey, and there’s really only two things about Comey you need to know to understand everything else about Comey. RUSH: I have to tell you, I am so proud of you people in this audience. I just looked up at the call roster after the last busy broadcast segment. We do not have a single call on James Comey. I am so proud of you people! I am so proud. (interruption) Exactly! Everybody else is talking about Comey. I’ve already told you the one thing you need to know. I have one more to add to it and after that, we’ll be done with it. I got so many people that to want respond to my little offhand theory about why the Democrats are insane. And that was just a throwaway — you know, fill 90 seconds before going to a break — and (chuckles) here come these people want to weigh in on it. And Trump is in Miami right now. He’s doing a… What is this? He’s in Hialeah, actually, and he’s doing a small business roundtable focused on tax reform. See? Side by side: Over here, you got Trump and the people in this country who are making it work, and they’re doing what they do. Over here, you’ve got (Pfft!) the media and the left and everybody who just cannot come to grips with life in America today doing everything they can to undermine it — and Trump just keeps striding along. He’s not plodding. He is striding along. He is undeterred. They want to think they’re driving him crazy. They want to believe they’re distracting him. They want to believe that he’s wandering aimlessly in the halls of the White House talking to the portraits on the wall, thinking of resigning. That’s not what Trump’s doing; it’s not who he is. RUSH: We start with Wayne in San Francisco. Great to have you, sir. CALLER: Thanks, Rush. Good afternoon to you. Rush, I’m responding to your query as to why the left is so insane, become to unhinged — the Democrats. CALLER: And, you know, after eight years of Obama, many Democrats and Republicans, they realize that all we needed is one or two more presidential cycles of another Democrat in office to get to the point of no return to anything back to constitutional conservatism. Trump gets in there and he blows this up. Now, I believe, and I know a lot of other people I chat with believe — and I talk to a lot of people. RUSH: But wait, wait. Just a second now. I don’t disagree with that. But when I said this stuff wouldn’t be going on, we wouldn’t have a special counsel, we wouldn’t have a Russian investigation. Unless you think that they would have tried to suggest that any Republican won as a result of collusion with Putin. You think if Ted Cruz had won we’d have a special counsel investigating his campaign and his election and Robert Mueller’d be out there doing what he’s doing and the attorney general would have recused himself? Do you think the same…? This Russia investigation is debilitating everything. CALLER: Yeah. Maybe not to the extent that they’re doing Trump, but God only knows what they’d be doing if Cruz was in there turning back Obama policies and promoting conservatism and, you know, was given that platform. God only knows. But Trump… Trump is just the perfect foil. He’s the perfect bombastic person to just get this angst out, get the anger and the hatred out. RUSH: He scares them! I… Look, I understand. Yes, he scares them; he intimidates them. That’s the real truth behind their actions here. But no. I agree with you. They would try to destroy anybody. TVLine: The Good Fight: To Help Impeach Trump, How Low Did the Firm Go?